The Personal Insolvency Act 2012 has introduced three new insolvency procedures to enable individuals to resolve their debt issues. 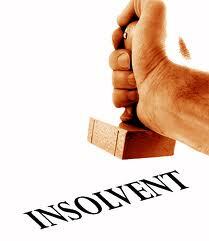 These procedures are Debt Relief Notices, Debt Settlement Arrangements and Personal Insolvency Arrangements. Different eligibility criteria apply to each of the procedures and each one covers differing amounts and types of debt. In addition certain types of debt are “excluded” from the procedures and other debts are “excludable”. In determining whether or not one of these procedures is suitable for you, it is important to understand what debts may be included in these procedures and what debts are “excluded” or “excludable”. Debt Relief Notices may also include a secured debt. Debt Settlement Arrangements deal with unsecured debts. There is no cap on the maximum amount of unsecured debt that may be dealt with in a Debt Settlement Arrangement. Personal Insolvency Arrangements deal with both secured and unsecured debt where the secured debt is greater than €20,001 to an upper limit of €3,000,000. However the upper limit of €3,000,000 can be waived where the secured creditors agree. The position with “excluded debts” is that you will remain liable for these debts and they will not be written down as part of the insolvency procedure. An “excludable debt” may be included in the insolvency procedure where the creditor either consents to its inclusion or where the creditor is deemed to have consented to its inclusion. A creditor is deemed to have consented where the creditor has been written to in relation to the inclusion of the excludable debt and the creditor has not responded. Where a creditor has consented or is deemed to have consented to the inclusion of the “excludable debt”, the debt becomes a “permitted debt”. The position with “excludable debts” where the creditor has not consented to their inclusion is that you will remain liable for these debts and they will not be written down as part of the insolvency procedure. Norma Lane is a solicitor practising in the Commercial Department of FitzGerald Solicitors. Norma is a qualified Personal Insolvency Practicioner.